Please ensure that you enable it in your browser to procede. Do I Have To Shoot To Be Covered? Our program covers you if you “use” a firearm as a weapon. Our members are covered under the U.S. Law Shield Firearms Program any time our member displays a firearm for the purpose of using the firearm as a weapon to stop a threat, whether the member has to pull the trigger and discharge the firearm or not. If you take a gun into a prohibited place (i.e. airport secured area, sporting event, bar, etc.) this act is not a “use” of a firearm and is not covered under the program. Our programs are designed to protect you in “use of force” scenarios. An accidental discharge is not a “use” and is not covered under the program (i.e. cleaning a gun and it discharges, hunting accidents, etc.). Am I covered under the program if I use a shotgun/rifle instead of a handgun? Our program covers the “use” of all legal firearms and other lawful weapons. If I call the emergency hotline, will I actually be speaking to an attorney? The hotline is always answered by an attorney, not a receptionist or answering service. You get immediate communications with a firearms program lawyer. Does the program defend me if I get caught carrying a gun somewhere the law says I shouldn’t? Our program provides legal defense for your “use” of a firearm anywhere in your home state (or covered state if you select multi-state coverage) where you can legally be in possession of a firearm. Do I get legal protection outside of my membership state? Only if you are a member of our multi-state option and use a gun or other lawful weapon in a listed covered state under the program. If there is a mistrial or the case has to be retried, is that covered? Our program provides you representation which includes both civil and criminal trials and any retrials that may be necessary. Is there a limit on the amount of hours for defense under this program? Our program attorneys do not and will not put a limit on the number of hours devoted to your defense. Your firearms program attorney is there from the beginning until the very end, no matter how long it may take. As a member, you deserve no less. Since the program is so inexpensive, will I receive less service than other clients of the program attorneys? The program’s lawyers have a responsibility and ethical duty to represent clients zealously, fully, and to the best of their abilities, regardless of fees charged. Does this program provide bond if I am charged with a crime for the use of a gun? As a member, you have the right to cancel your membership at any time and we will gladly refund your unused membership amount. I am or will be taking a firearms or carry permit class. Can I sign up for the program now? If I have adult children at home, will they need their own membership? All adults who wish to have this service need their own program and member ID card. Does the program cover a spouse/partner as well? If they are also a member in good standing. Is U.S. Law Shield a law firm? U.S. Law Shield is a firearms legal defense program organized pursuant to the applicable states in which membership if offered (ie. legal services company, prepaid legal insurance corporation, etc.) and provides program attorneys who are experienced and dedicated to preserving all of our Second Amendment rights.  The U.S. Law Shield program provides attorneys in each covered state who are experienced in handling cases involving firearms and firearms law. U.S. Law Shield evaluates these attorneys to ensure that they are just as passionate about our Second Amendment rights as members here at U.S. Law Shield.